Restylane Lyft is the first and only FDA-approved filler indicated to provide lift to cheeks and add volume to correct and smooth smile lines. As we age, sun damage, genetics, gravity, diseases (e.g. acne) and even daily expression can cause lines, wrinkles, hollowing and depressed acne scars. These changes alter the way we look and present ourselves to the world. Our faces are essentially an organ of communication. We may be feeling one set of emotions, yet our faces may communicate another. While some lines can be erased by lasers, and sagging can be reduced by face and neck lifts, one of the most common and easy methods to diminish lines is through the use of fillers and Botox. There is a vast array of fillers. Some are better for enhancing lips, others are better for cheek hollowing. Some last just a few months; others may last for more than a year. Some are permanent. Most do not require allergy testing. Our philosophy is to match the filler to the needs and concerns of the patient. This may require multiple sessions and multiple fillers. Generally, we do not advocate permanent fillers because as the face ages, a permanent filler may not adjust to the new lines and repositioning of old ones. With all of these products there is a risk of adverse effects, though fortunately they are uncommon. There can be infection and bruising/bleeding. There may be asymmetry. There may also be a risk of small bumps along the injection site known as granulomas. 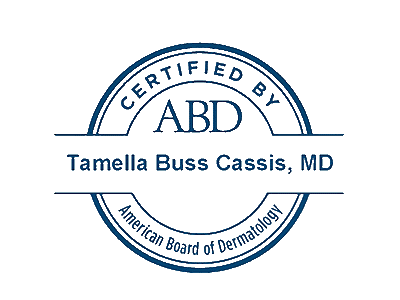 The staff at Cassis Dermatology and Aesthetics Center is trained to use Restylane Lyft.